Just like I tell Buyers, if possible, go visit some Open Houses and get a sense of what your neighbors are asking. 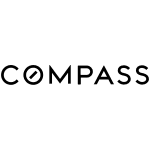 Compass has excellent online tools to help you understand what is going on in your local real estate market. Pricing often can be more art than science. I am in the market everyday evaluating properties. Going to open houses, touring properties with buyers and watching the new developments. When I help you set the price I will pull all of the most recent and up to date market data. Comparable properties for sale, under agreement and sold. I will tell you which ones are most relevant to your property. I also take into account my experience with current listings and current buyers to give an extra insight. All of this data is excellent to establish a realistic market value. However you should consider your personal objectives as well. Perhaps you want a fast sale to facilitate the purchase of your next home. Or maybe you need to hit a certain number for you to make the move. I will work with you to develop a strategy that works best for you. Ultimately as the Seller you decide how much to ask for your property.